Traditional Chinese Medicine (TCM) is an umbrella term for the many different modalities used in Chinese Medicine. 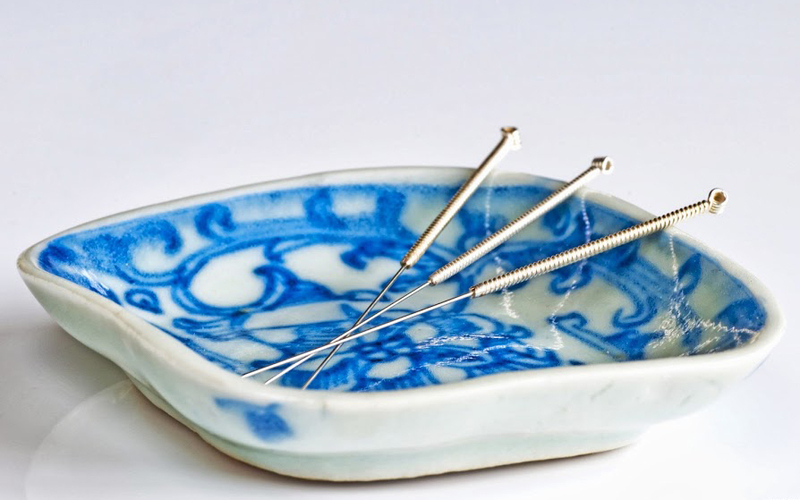 These include Acupuncture (electro, auricular, cosmetic), Tui Na (Chinese medical massage), Herbal Medicine, Gua Sha (scraping), Moxibustion (the burning of the herb mugwort), Cupping, Dietary Therapy and Energy Work (Qi Gong, Tai Chi). Traditional Chinese Medicine is one of the oldest continuous medical systems on earth, with instances dating back more than 4000 years. The philosophy of TCM is based on the Taoist view that human beings should strive to live in harmony with nature and their natural environment. Eating foods that grow locally and in season, practicing Tai Chi and Qi Gong, expressing our emotions, being self aware and listening to our needs and desires are, in the TCM view, the way to a healthy and balanced life. The TCM philosophy offers us different approaches to looking at the workings of our bodies, the development of disease and the process of healing. The emotional self, for example, is just as important to the TCM practitioner as the physical body. When a patient arrives with a specific complaint, all physical as well as emotional and psychological aspects are evaluated, as it is the entire person who must be rebalanced, not just one aspect. This holistic approach is the strength of the TCM model, and why it is so effective. Treating the whole is in opposition to the reductionist model in the West which reduces the body into parts, not taking into consideration that they operate synergistically as a whole. This is one of the reasons why TCM is still able to treat a huge variety of ailments in the modern world. Illness is described in the way it is seen to exist and develop, in natural terms. Terms like water, fire, wind and earth are used to describe a person and aspects of their health, personality and disease. Illness develops when something is out of balance, is deficient, in excess or stuck. The energy of the body, or Qi, must then be rebalanced, topped up, sedated, and moved depending on the presenting condition. Qi moves along specific pathways in the body called meridians. The acupuncture points are places where the Qi comes to the surface and is able to be manipulated by the acupuncture needles. Herbs work internally to achieve the same goals. They are powerful tools and can be used alone or in conjunction with acupuncture or any of the other modalities, like Tui Na, Cupping or Gua Sha. All are used to rebalance the body and return it to a state of equilibrium. It is up to the practitioner to decide which ones or combinations are most effective for the patient and the imbalance that has led them to seek treatment. In conclusion, Chinese medicine holds the body and its capacity for healing in great reverence. It does not see itself as an outside force that is able to heal the body, but as a way to help adjust the body and bring it back into balance so that health is restored. In essence, it is not the practitioner doing the healing, it is the body. Advice on nutrition, living with the seasons and moderation in life empowers the patient and enables him to participate in his own healing. The goal of the TCM practitioner is to use these concepts to guide the patient on how to live a healthy, happy and balanced life.